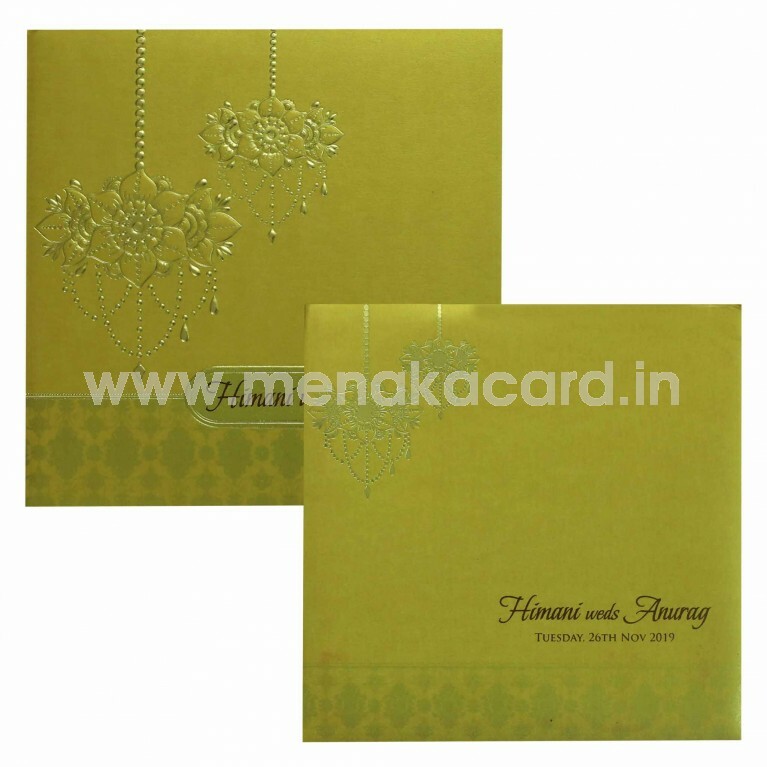 This grand gold card oozes an art deco charm in the gold ink embossed floral chandelier designs on the front of the card below a strip and banner with damask lancer designs that contain the names of the couple in gold ink. The two default inserts sit inside the cardholder with content printed in contrasting ink on cream, yellow, orange or green inserts. 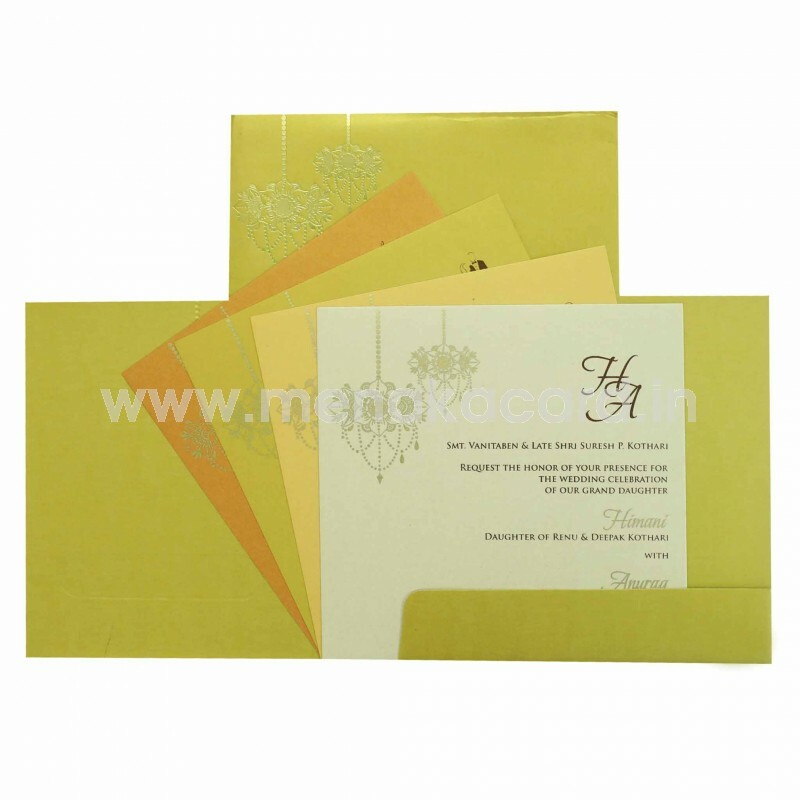 This can be used for personal invitations to Hindu, Multi-faith, Christian and Muslim weddings.